Alone boarding on a calm ocean at dusk. The sounds and activities of the distant shore fade into the vast silence beneath and around. What could be more serene? You know that relaxed holiday feeling, the one you want to maintain once you return to normal life? 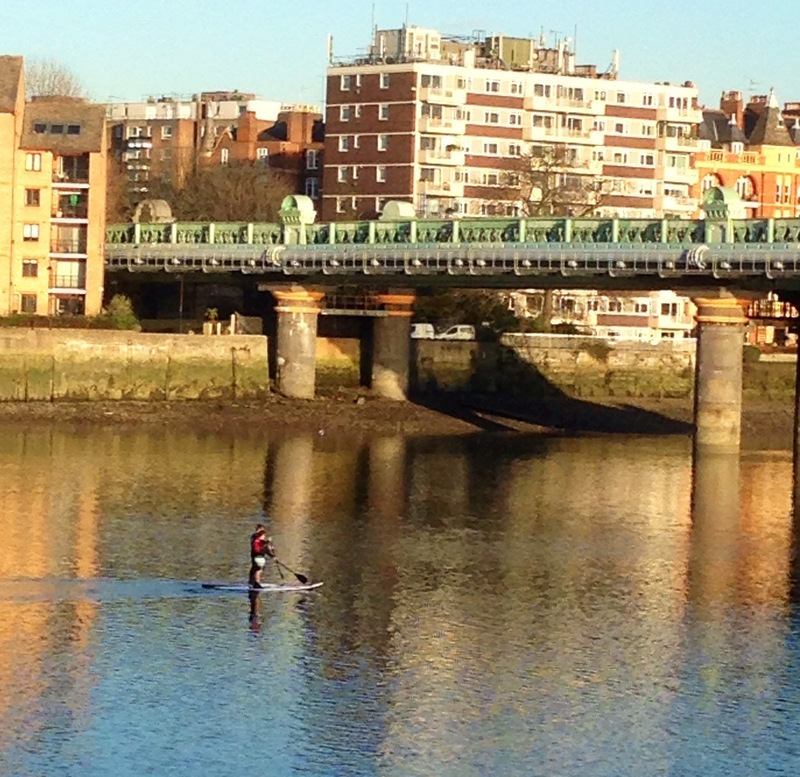 On a recent return to London, amidst all the urban business and bustle, this photograph of paddle boarders on the Thames is a timely example of serenity amidst the city’s relentless restlessness, during the frenzied build up to Christmas. 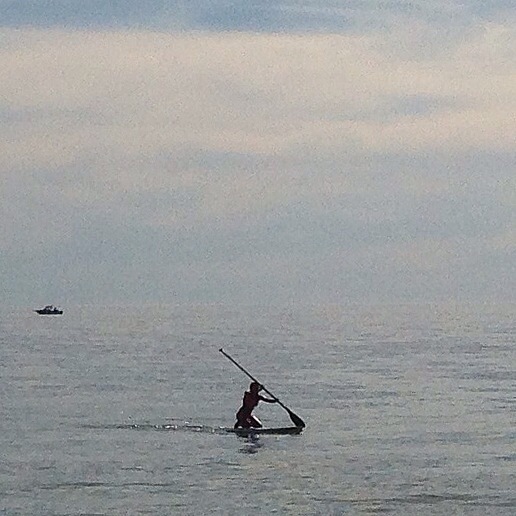 For the Daily Post photo challenge serenity. Good examples. I love the comparison. Thanks! How’s Aberdeen just now? It is freezing! We have been having snow showers and really hard frosts. Lovely bright days though. I am wishing I had protected my garden a bit more. Oh well, too late now.